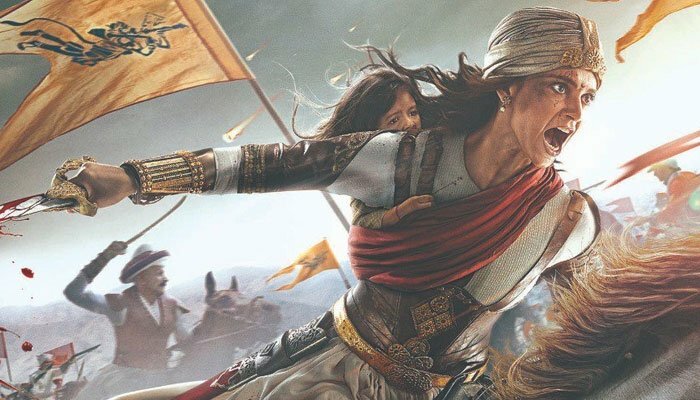 Manikarnika: The Queen Of Jhansi clashed with Nawauddin Siddiqui's Thackeray at the box office. On Sunday too, Kangana's film witnessed a similar footfalls as that of Saturday and collected Rs 15.70 on day 3 taking its total weekend collection to Rs 42.55 crore. Trade analysts expected the movie to rake in around Rs 10-11 crore on its first day. The collection, which includes Hindi, Telugu and Tamil versions, now stands at Rs 26.85 crore. Mumbai: After a slow start on its opening day, Kangana Ranaut's period drama "Manikarnika: The Queen of Jhansi" has picked up its speed at the box office. Manikarnika... is an Indian historical biographical film based on the life of Rani Laxmibai of Jhansi. The film had also courted several controversies over the alleged portrayal of Laxmibai followed by Sonu Sood refusing to reshoot his scenes, as requested by Kangana, who co-directed the film with Krish. "Ranaut as well as her fellow actors do a great job of wielding swords", the review mentions. Apart from Kangana, the film also stars Ankita Lokhande, Danny Denzongpa and Atul Kulkarni in pivotal roles. The film is jointly directed by Radha Krishna Jagarlamudi and Kangana Ranaut, and produced by Zee Studios in association with Kamal Jain and Nishant Pitti. "It's an honour to be able to pay a tribute to her through our upcoming film Manikarnika".